Welcome to ATOMIM's Becoming Math Online Book Study! Hopefully, you had an opportunity to join us at a Dine & Discuss. If not, that's okay, too. To participate in the online forum, you must be a member of ATOMIM. Each Thursday, we will post two prompts for that week's chapter. You may choose which prompt to respond to. It's okay to go back to previous weeks if you fall behind. The posting schedule is below. You can find all of the chapter prompts here. We've also linked each chapter below to the corresponding page on Tracy's website. 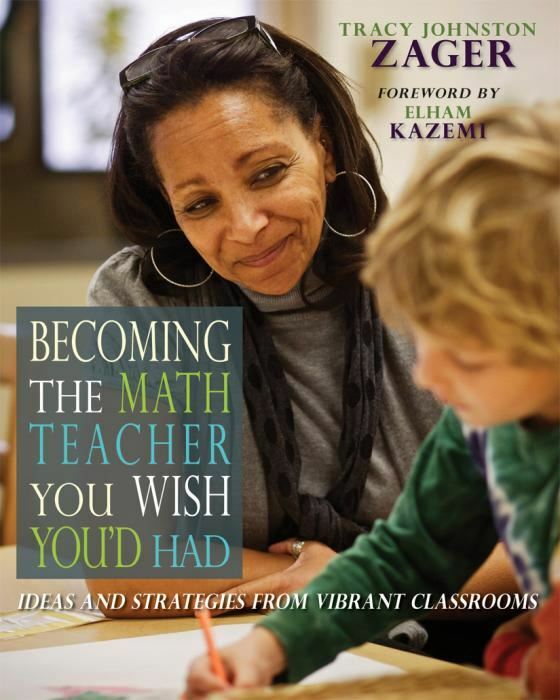 And if you have a twitter account, feel free to tweet using the hashtag #becomingmath and include @mainemath. 11/9 - 11/15 Chapter 2: What Do Mathematicians Do? This is a great spot to do some journaling, reflecting, and discussing. How has the experience been? What have been the overarching themes of your work throughout this journey? What ideas are you lingering over still? Going forward, what specific goals will you be working on? This chapter includes a lot of specific strategies including using vertical, nonpermanent surfaces (pp 321-323), visibly random grouping (pp 323-324), promoting cross-pollination (pp 327-330), and sparking debate (pp335-338). Choose an area of focus and a strategy from this chapter and try it out a few times. Tell us about your plan and then come back and tell us how it worked out. Spend some time with the bulleted list on p. 284. Identify a specific goal to work on in your practice (for example, working on your poker face or asking follow-up questions). Try your goal in your teaching for two weeks, then come back and write about how it went. Consider the architect's work versus the draftsmen's work from the Halmos quote (pp 303-304). What thinking does it spark in you? Are you pushing your students to be more like the architect or more like the draftsman? What do you make of the argument that counterintuitive or paradoxical math is a motivator for proof? Choose a strategy (Choral Counting, Open Number Sentences, True/False Number Sentences, Always/Sometimes/Never) and try it out. Plan with colleagues, if possible. Be deliberate about your choices; make sure they reflect your mathematical goal for the lesson. How did it go? Share. Choose seven questions (224-226), one from each category, and write them somewhere you'll see them while you teach. What questions did you choose? Try using them in your teaching for a week. What did you notice? Share. Discuss the opening passage about intution. What caught your ear? Any surprises? Think about models you teach. Do your students currently see connections among them? What might you take from Becky's Example (191-193)? Try it, what did you learn?